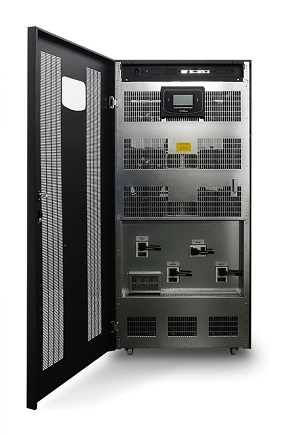 The Multi Sentry series is ideal for protecting data centres and telecommunications systems, IT networks and critical systems in general, where the risks connected with poor energy supply can compromise the continuity of activities and services. The Multi Sentry series is available in 30-40-60-80-100-125-160-200 kVA models with three-phase input and output and on-line double conversion technology in accordance with VFI-SS-111 classification (as set out in standard IEC EN 62040-3). Multi Sentry is designed and built using state-of-the-art technology and components. It has a fully controlled IGBT rectifier to minimize the impact on the grid. It is controlled by a DSP (Digital Signal Processor) microprocessor, to provide maximum protection to the powered loads with no impact on downstream systems, and optimised energy savings. State-of-the-art three-level NPC inverters are used across the power range (30-200) to achieve an operating efficiency of 96.5%. This technology halves (50%) the energy dissipated in a year by traditional UPS, with an efficiency level of 92%. Its exceptional performance makes it possible to recover the capital investment cost in less than three years of operation. Distributed parallel configuration of up to 6 units per redundant (N+1) or power parallel system. 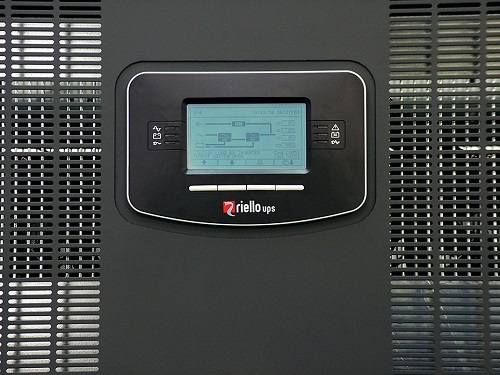 The UPS continue to operate in parallel even if the connection cable is interrupted (Closed Loop). more active power than a traditional UPS, guaranteeing a greater margin when sizing UPS for potential future load increases. smart ventilation principle on MST 160-200 manages the number of operating fans and their speed according to room temperature and load level. This preserves the life span of the fans and at the same time we reduce noise level and overall power consumption for unnecessary UPS ventilation. 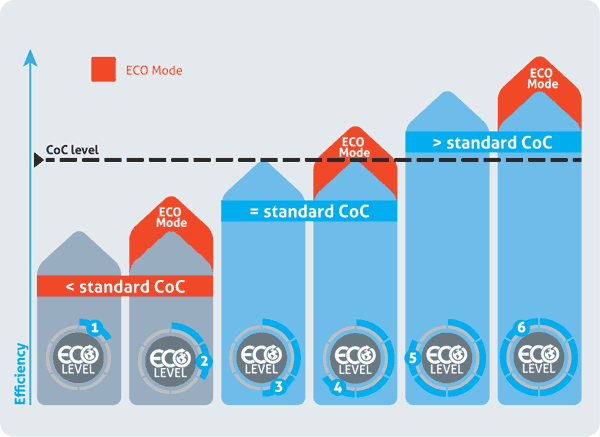 On-line, Eco, Smart Active and Stand By Off operating modes - compatible with centralised power systems (CSS) applications. MST 30-40 version: cabinet (1320 x 440 x 850mm HxWxD) for optimised solutions when medium to long-term runtimes are required. Multi Sentry is equipped with a back-lit graphic display (240x128 pixels) providing UPS information, measurements, operating states and alarms in different languages. It can also display wave forms and voltage/ current forms. The default screen displays UPS status, graphically indicating the status of the various assemblies (rectifier, batteries, inverter, bypass). 3 slots for the installation of optional communications accessories such as network adapters, potential free contacts, etc. Graphic display panel for remote connection.